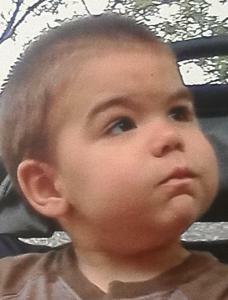 Shooting victim Gregory Erdmann, 2. For weeks, Kathryn Erdmann of Fall River had been talking about her Fourth of July plans: a trip to rural Pennsylvania with her toddler son, where she would meet her boyfriend’s aunt and uncle for the first time. Then came Saturday night, authorities said, when career criminal Mark Richard Geisenheyner burst into the Montgomery County vacation home where Erdmann was staying. Holding a gun, he was seeking vengeance for a 2006 insurance fraud scheme that landed him in prison. The shootings that followed killed Erdmann’s 2-year-old son, Gregory, and her boyfriend, Joseph Shay, 43, of Yarmouth, authorities said. Erdmann, 37, of Fall River, as well as her boyfriend’s aunt and uncle, Paul and Monica Shay of New York City, were all seriously injured and taken to nearby hospitals, with Monica Shay’s injuries described as life-threatening. Erdmann and her son were simply in the wrong place at the wrong time, said Steele, explaining that Paul Shay was the gunman’s target. Yesterday, the suspected gunman was killed by a SWAT team after a six-hour standoff in a home southwest of Philadelphia where he fled after the shooting, Steele said. Geisenheyner, 51, had spent the last three months casing Paul Shay’s home, Montgomery County District Attorney Risa Ferman told the Associated Press. When he broke in, he said, “Guess you never thought you’d see me again,’’ Ferman said, citing victim reports. She said he then shot all five people in the house. Erdmann watched the gunman put a .22-caliber gun to the back of her son’s head and pull the trigger, Steele said. Then the mother made a desperate 911 call, begging dispatchers to save Gregory’s life. After the shooting, Geisenheyner fled to the home of a man he knew from prison, who lives in Trainer, Pa., about 15 miles outside of Philadelphia, police said. The friend called local police when Geisenheyner fell asleep, and SWAT crews surrounded the house around 5:30 a.m. yesterday. SWAT teams went into the house after six hours of negotiation with Geisenheyner via cellphone, and police shot Geisenheyner in the basement when they saw that he was armed, Steele said. Before his friend called, Geisenheyner’s name was already on the list of suspects that police had compiled, because of a 2006 arrest in which he was found in possession of artwork that had been stolen from Paul Shay’s home, Ferman said. Following that arrest, he was sent back to prison for violating his parole. Geisenheyner told friends that he had been cut out of the profits for an insurance scam he and Shay had worked out, Ferman said.Paul Shay, 64, owns a plumbing company and lives in Manhattan’s East Village with his wife, Monica, 58, who works at Pratt Institute as the director of the arts and cultural management program, according to the Associated Press. Shay, who owned a plumbing company, had filed an insurance claim on the painting. He was apparently not charged. “When Geisenheyner got out of prison, he was determined to exact revenge on Paul Shay,’’ Ferman said. Geisenheyner has a criminal record dating to the 1970s, including multiple counts of burglary and larceny, Steele said. Before the weekend began, Erdmann, who neighbors said grew up in Dorchester, could not stop talking about the trip with new boyfriend Joseph Shay, said Casey Deree, 27, a friend from Fall River. She said Erdmann and Shay were old friends who had reconnected a few months ago. Erdmann called Gregory her “miracle baby’’ because her unexpected pregnancy came in her 30s, said neighbors on Peckham Street, where Erdmann had lived for about three years. In the parking lot between two Peckham Street apartment buildings yesterday, families built a shrine for Gregory, with candles, photos, a stuffed fish, and messages from the community’s children - “We love you Gregory’’ and “I will miss you’’ - scrawled across the pavement in chalk. Dangling from the rearview mirror of Erdmann’s green Kia Spectra, near the memorial, was her student ID for the Sanford-Brown Institute, , where she started taking pharmacy technician classes last week. In the car’s back seat were several rubber balls in pastel colors and a bulk-sized jar of cheese curls, Gregory’s favorite snack. Material from The Associated Press was used in this report. Laura J. Nelson can be reached at lnelson@globe.com.